WHY IN THE NAME OF FUCKALL ARE WE SUBJECTED TO SUCH A CONSTANT BARRAGE OF NONSENSE FROM THIS MAN? DON'T WE GET ENOUGH HORSESHIT EVERY DAY FROM THE PRESIDENT AND HIS FLUNKIES? The ever optimistic Musk told Axios that upgrading human intelligence would start with planting a chip in someone’s head with “a bunch of tiny wires” with the goal of creating a hard drive for people’s brains. Peking Man," a human ancestor who lived in China between roughly 200,000 and 750,000 years ago, was a wood-working, fire-using, spear-hafting hominid who, mysteriously, liked to drill holes into objects for unknown reasons. And, yes, these hominids, a form of Homo erectus, appear to have been quite meticulous about their clothing, using stone tools to soften and depress animal hides. Man has no understanding. He can be taught a few simple tricks. Nothing more. Some 4.4 million years ago, a hominid now known as Ardipithecus ramidus lived in what were then forests in Ethiopia. Homo antecessor is an extinct human species dating from 1.2 million to 800,000 years ago. H. antecessor, which first came to light in the 1990s, is known almost entirely from one cave in northern Spain’s Atapuerca Mountains. The hominids’ teeth were primitive like those of Homo erectus, but aspects of the hominid’s face—particularly the shape of the nasal region and the presence of a facial depression above the canine tooth called the canine fossa—were modern, resembling features of modern people. Homo georgicus (1.8 million years ago): In 1991, anthropologists found the jaw of a hominid in the Caucasus Mountains of Dmanisi, Georgia. The researchers dug up additional hominid fossils as well as stone tools throughout the 1990s. The fossils looked similar to those of Homo erectus. But in 2000, they found an unusual jaw; its size and shape didn’t quite match H. erectus or any other known hominid that lived about 1.8 million years ago. So the team gave the jaw a new name, Home Georgicus. HASN'T THAT BEEN DONE ALREADY? A. aethiopicus existed between 2.6 and 2.3 million years ago. This species is known from one major specimen, the Black Skull discovered by Alan Walker, and a few other minor specimens which may belong to the same species. It may be an ancestor of robustus and boisei, but it has a baffling mixture of primitive and advanced traits. The brain size is very small, at 410 cc, and parts of the skull, particularly the hind portions, are very primitive, most resembling afarensis. Other characteristics, like the massiveness of the face, jaws and single tooth found, and the largest sagittal crest in any known hominid, are more reminiscent of A. boisei (Leakey and Lewin 1992). According to the BBC series Walking With Cavemen, Homo ergaster was probably the first hominid to use "what we would recognise as a human voice," though its symbolic cognition was probably somewhat limited compared to modern humans. Living around 6 million years ago, Orrorin tugenensis is the one of the oldest early humans on our family tree. An ancient relative of humans dubbed 'Nutcracker Man' because of his powerful jaws and huge teeth may have actually preferred to eat grass, say scientists. The hominid, known as Paranthropus boisei, ranged across the African landscape more than one million years ago and lived side-by-side with direct ancestors of humans. The species designation of Homo rudolfensis is a much debated topic, over both whether it is a separate species, and if it is an australopithecine rather than a member of the genus Homo. The type specimen of the species is KNM-ER 1470. This specimen was discovered by Richard Leakey’s team in 1972, east of Lake Turkana at Koobi Fora in northern Kenya. This discovery was of a fairly complete cranium without any remaining teeth. 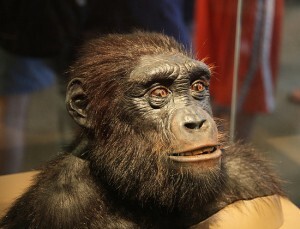 Due to uncertainties created by its large brain size and its early initial dates, Leakey did not attribute the specimen to a species, but simply as a member of the genus Homo. Australopithecus afarensis is one of the longest-lived and best-known early human species—paleoanthropologists have uncovered remains from more than 300 individuals! Found between 3.85 and 2.95 million years ago in Eastern Africa (Ethiopia, Kenya, Tanzania), this species survived for more than 900,000 years, which is over four times as long as our own species has been around. Ten years ago, an international group of anthropologists made a bold claim: They had unearthed the earliest hominid ever found, in the Sahel region of Chad. They named their discovery Sahelanthropus tchadensis. Today, many anthropologists agree that the seven-million-year-old Sahelanthropus was an early hominid while others suggest it was nothing more than an ancient ape. Homo Heidelbergensis, previously called archaic Homo sapiens, marks another increase in hominid size about 800,000 years ago. The designation heidelbergensis covers a diverse group of skulls which share features with Homo erectus, Homo neanderthalensis and modern humans. The browridge is smaller and the angle of the rest of the face is more vertical than in erectus or ergaster. Males stood over 1.7 meters and weighed 62 kilos, females 1.6 meters and 51 kilos: bone mass indicates a significant increase in physical strength. In addition, brain size increases gradually up to 1600cc. Heidelberg skeletons and teeth are usually less robust than in erectus, but more robust than modern humans. Most have large browridges and receding foreheads and chins. Heidelberg fossils are increasingly associated with dismembered and burned human remains that indicate cannibalism. It is not clear whether this was a response to ecological scarcity, a habitual diet, or a learned treatment of captives or the dead. With the scaling up of physical size and brain capacity seems to have come a greater physical variability. Heidelbergs are almost certainly the ancestor to Homo neanderthalensis -- which is apparently an adaptation to more northern, colder habitats -- and they were probably direct descendants of the recently discovered and still controversial Homo antecessor. But there is sometimes no clear distinction between some western forms of erectus and heidelbergensis. Both used Acheulean tool industry until extinction, and many fossils from around 500,000 years ago are difficult to classify into one species or the other.